A panoramic photograph of British World War II military vehicles deep inside the wreck of the Thistlegorm in the Red Sea sees German photographer Tobias Friedrich named Underwater Photographer of the Year 2018. Judge Alex Mustard was impressed by Greg’s split level image that truly justified being a split level. 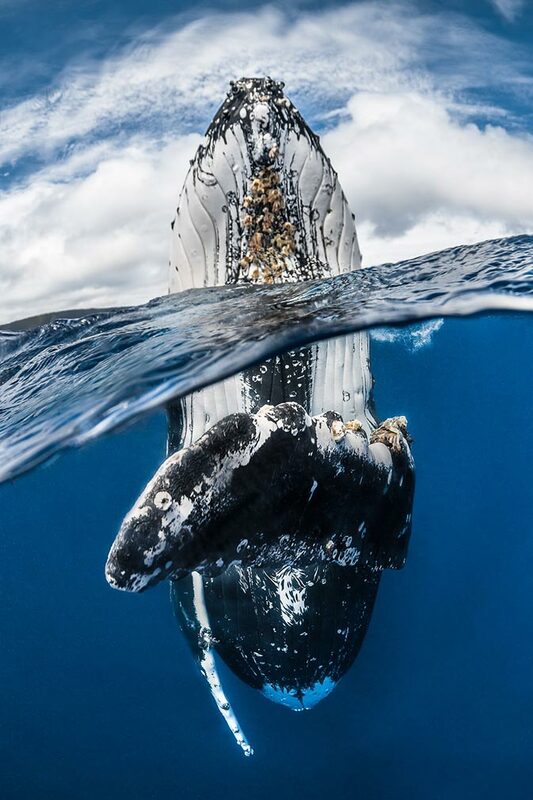 The gesture of the humpback reaching out with its pectoral fin completes the moment. 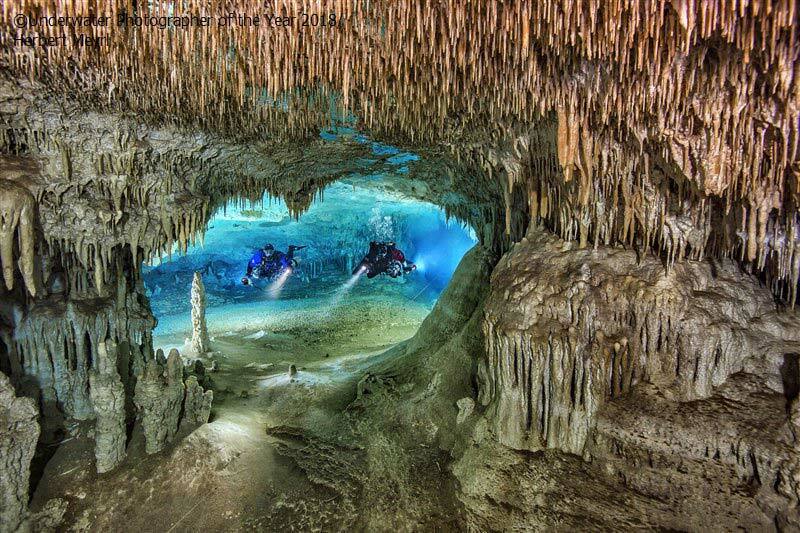 Highly Commended in the wide angle section was this photo of the Cenote Nariz by Herbert Meyrl. This is the entrance to a large cave system in Yucatan, Mexico. 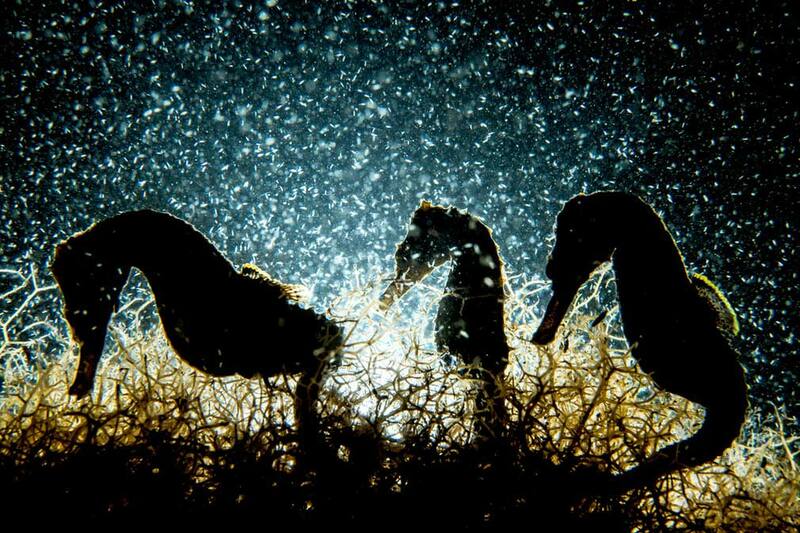 Not all the shots were taken in great diving destinations around the world. 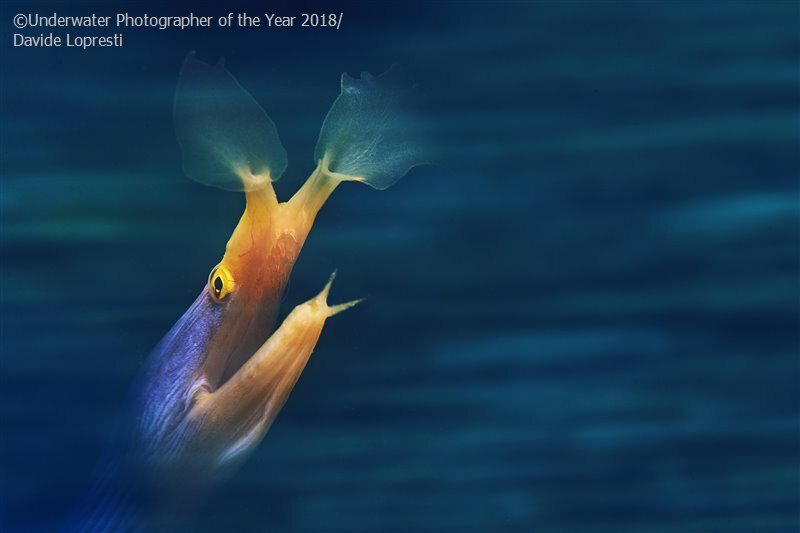 The title of Most Promising British Underwater Photographer, 2018 goes to Tony Stephenson from the East Midlands in England. His image “How Many Pike?” reveals pike courtship in Stoney Cove, Leicestershire. 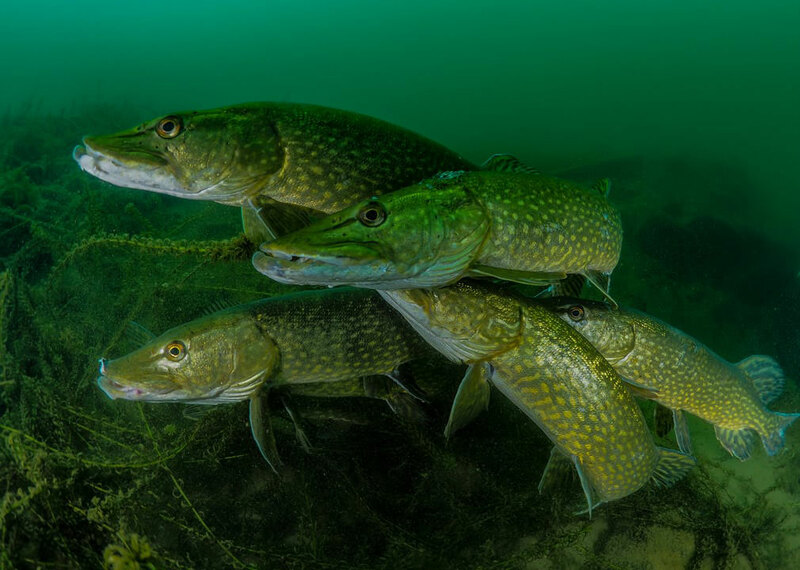 “I love photographing pike and on this dive during the Easter holidays, these males were looking for a mate,” commented Stephenson. 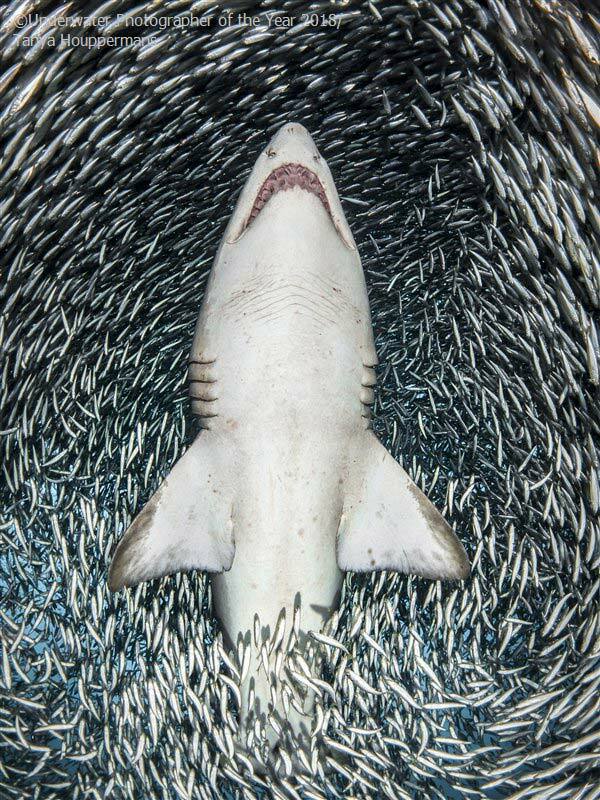 One of the most striking photos is the portrait of a sand tiger shark by Tanya Houppermans. This was taken whilst diving the wreck of the Caribsea off North Carolina, USA. This highly commended macro entry is by the 2016 winner, Davide Lopresti. He created this arresting photograph using a long exposure and panning. 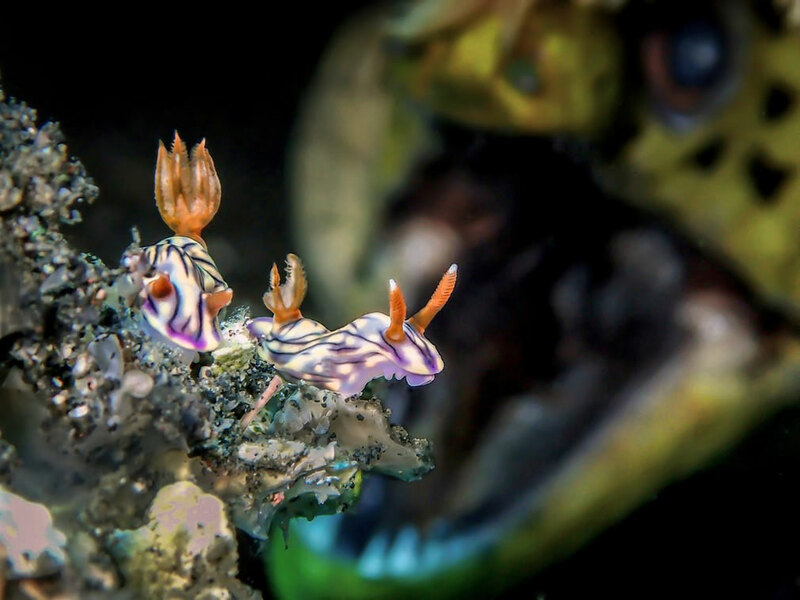 Ocean Art Underwater Photo Competition 2018 is now Open!